Shriram Earth is the new plotted development project launched in Donnenahalli, Off Mysore Road, Bangalore. Find Shriram Earth Price | Reviews | Offers. The residential enclave Shriram Earth features the very best in Shriram Properties’s Plotted segment. The project offers spacious Plots with luxurious features. Beautiful landscapes all around the project makes it more special & Elite. The builder is guaranteed to bring a quality living experience to the community of Donnenahalli, Off Mysore Road, Bangalore with brilliant architecture and equivalent lifestyle in Shriram Earth. 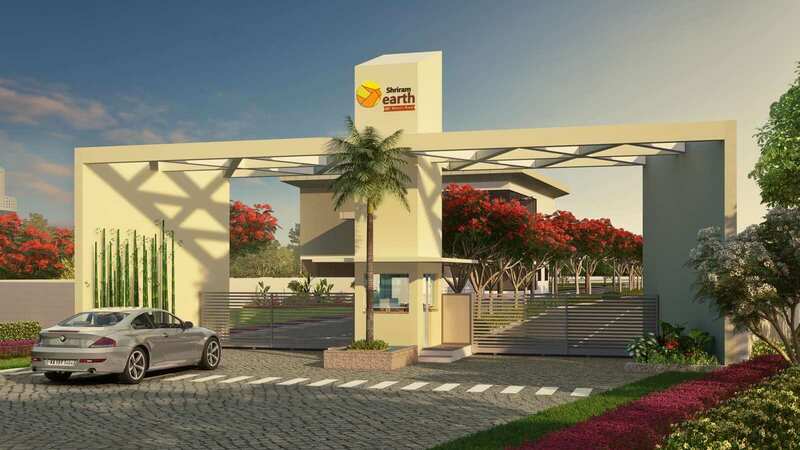 Shriram Earth Location has excellent connectivity & it is located at the crux of Donnenahalli, Off Mysore Road near existing and upcoming communities & facilities. Amenities at Shriram Earth include a fully equipped clubhouse, landscaped gardens, gymnasium, swimming pool, recreation rooms, outdoor sports courts, children’s play area, party hall, and meticulously planned with utmost importance to state-of-the-art 24/7 securities. A 60-feet wide main road and 30-feet wide sub road. Underground cabling for water & power. Landscaped gardens with tree lined avenues. Advanced security system with CCTV cameras. Water Supply System through overhead tank. Close Proximity to Mysore Road, Industrial hubs, Global Tech village, NICE Junction, multiple International schools, Medical and Engg. colleges, Upcoming Metro Stations and many more existing facilities and communities. Being located in the fast developing part of Mysore road makes this project great for Personal use / Investment purpose. South-West Bangalore and Mysore Road are currently at the crux of 4 different major areas of business and development with convenient access to every other part of the city via certain Major highways. Shriram Earth is located at a strategically well-established, highly sought-after part of South-West Bangalore making it good for Investment purpose and Self-use.